Saint-Malo is a historic walled port city and commune (with the commune expanded beyond the walls in 1968), in Brittany on the English Channel coastline of northwestern France. It is a subprefecture of the Ille-et-Vilaine. 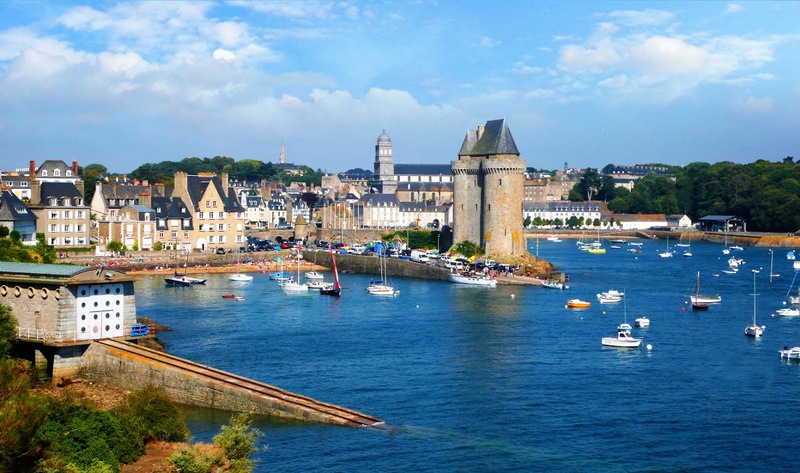 Traditionally known for its independent streak, Saint-Malo was in the past notorious for privateering (the "cité corsaire"). Today the city is a major tourist destination, with many ancient structures. St Malo has several districts, the most popular being intra muros or ‘inside the walls’. The tall granite buildings, most of which were restored after being bombed during the war, house an interesting mix of cosy hotels, restaurants to suit all tastes and shops by the dozen. The Musée de la Ville tells you all you need to know about the town’s history and includes some fascinating maritime objects like the prow of a ship. Opposite the old town are two little islands that can be reached at low tide (heed the warnings or you’ll get trapped there!). On one is the Vauban-built Fort National and on the other is the tomb of the writer and politician Chateaubriand, who was born in St Malo in 1768. Long sandy beaches sweep east from the old town to the district of Rothéneuf. Here you’ll find the former house of one of St Malo’s most famous sons, Jacques Cartier, who discovered Canada; the 15th-century Manoir de Limoëlou houses a fascinating museum dedicated to the explorer. It's like a storybook scene. What a beautiful photo, Nick...the blue of the sky and the blue of the water, and the ancient towers standing watch over all!